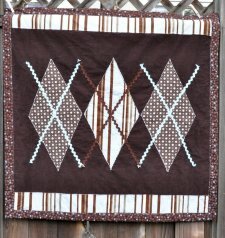 "I don't know what got into me, but last week I actually started and FINISHED two baby quilts! I know--I feel pretty accomplished. It could be that they were both super easy. But still! How awesome is that? 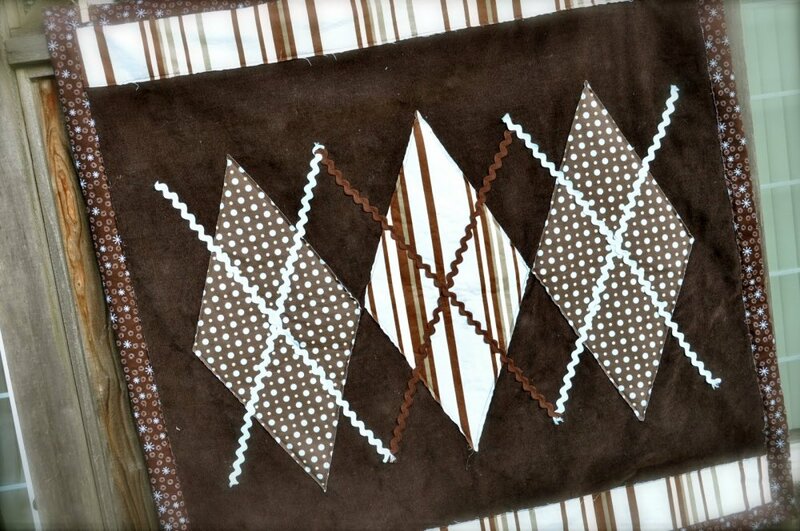 Here's the first one, an argyle pattern on corduroy. 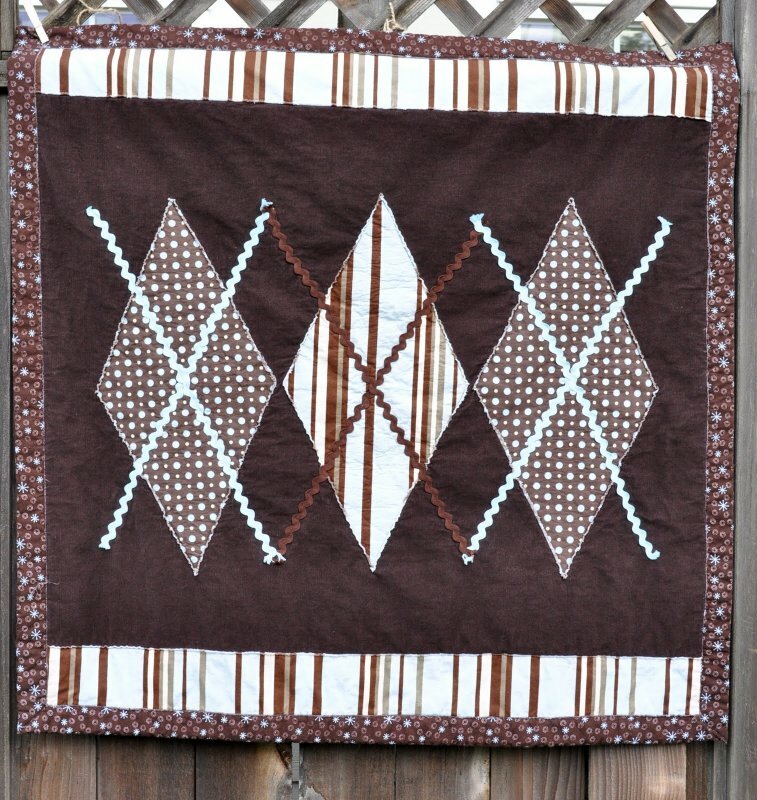 And the other was a simple strip quilt, made out of the leftovers from this quilt. It took me only a few minutes to sew the strips together, and less than an hour to quilt it in straight lines, which was done by sewing a line about 1/2" on either side of each seam. Easy! The binding was what took the longest! "So back to the argyle quilt. You're going to die when you hear how easy it was. I stole the idea from a friend who made one for my sister-in-law. I've known Laurie over 20 years (okay, that makes me feel old! ), and I wouldn't exactly call her a craftster. But when she does decide to make something, watch out! She is freakin' amazing! Her quilt had 6 diamonds, but I was feeling lazy, so you get the three diamond version. Thanks for the inspiration, Larry! :)"